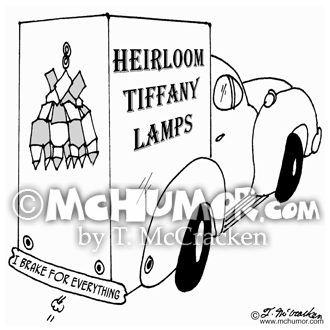 Truck Cartoon 6088: An Heirloom Tiffany Lamp Delivery truck has a bumper sticker, "I Brake for Everything." Art Cartoon 9161: "At The Imaginary Museum of Fine Art." 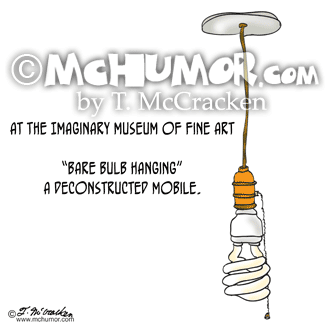 "Bare Bulb Hanging" A Deconstructed Mobile. 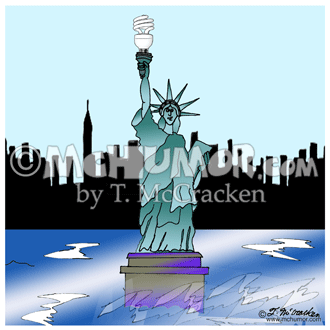 Phobia Cartoon 6185: "How many people with a fear of heights does it take to change a light bulb?" 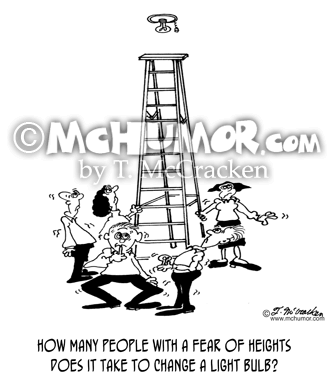 A bunch of quake people stand at the bottom of a ladder. 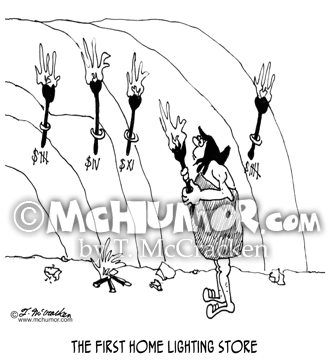 Lighting Cartoon 4420: A caveman looks at various sized torches on display. 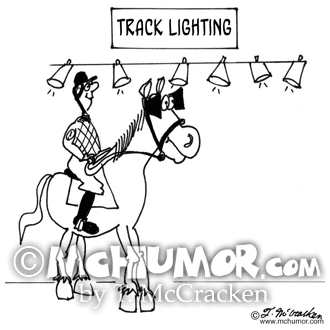 "The First Home Lighting Store." 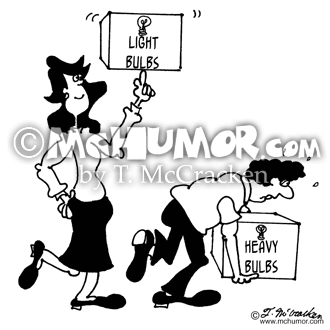 Light Bulb Cartoon 5343: A woman balances a big box of "Light Bulbs" on one finger while a hunched over man carries a box of "Heavy Bulbs." 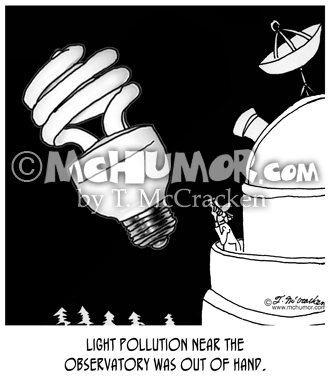 Astronomy Cartoon 9209: "Light pollution near the observatory was out of hand." 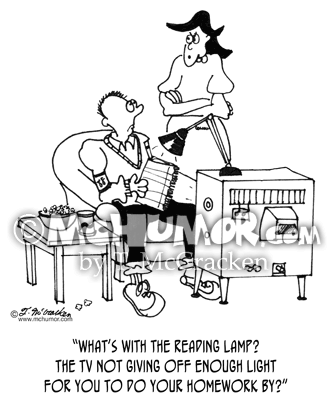 A huge light bulb floats in space near an observatory and there are no stars to be seen. 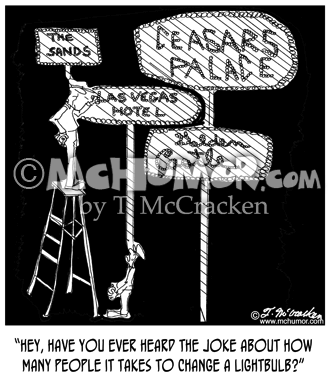 0600 Light Cartoon: In Las Vegas someone asks a man on a ladder screwing in light bulbs, "Hey, have you ever heard the joke about how many people it takes to change a light bulb?"